Hindi is the most widely spoken language in India. Even though it’s not an official national language of the country, it’s still spoken by the majority of the population. 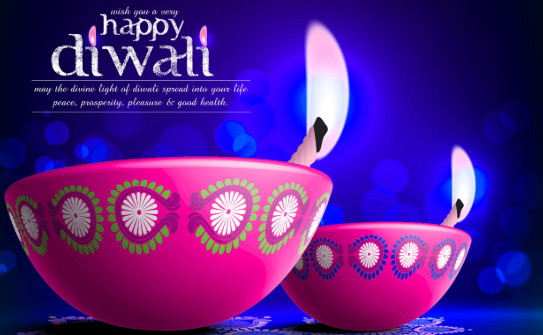 It’s common to share the Happy Diwali Quotes in mind with your friends as it is the most commonly spoken language in India. Find tons of vernacular Happy Diwali 2018Quotes in Hindi in this post and share them with your friends and close family members.
" सफ़लता कदम चूमती रहे, ख़ुशी आसपास घुमती रहे, यश इतना फैले की कस्तूरी शर्मा जाये और आप पर लक्ष्मी की कृपा इतनी हो की बालाजी भी देखते रह जाये!!
" रात थी काली, लाइफ थी खाली, फिर सब कुछ बदला..जो आई दिवाली!!
" इस दिवाली में यही कामना है कि सफलता आपके कदम चूमे और खुशी आपके आसपास हो। माता लक्ष्मी की कृपा आप पर बनी रहे। !!
" 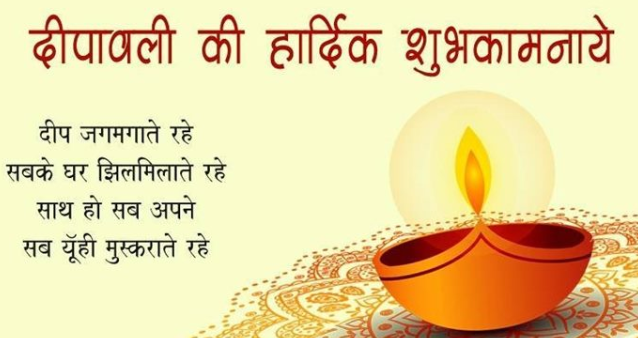 ये दिवाली आपके जीवन में खुशियों की बरसात लाए, धन और शौहरत की बौछार करे, दिवाली की हार्दिक शुभकामनाएं! !